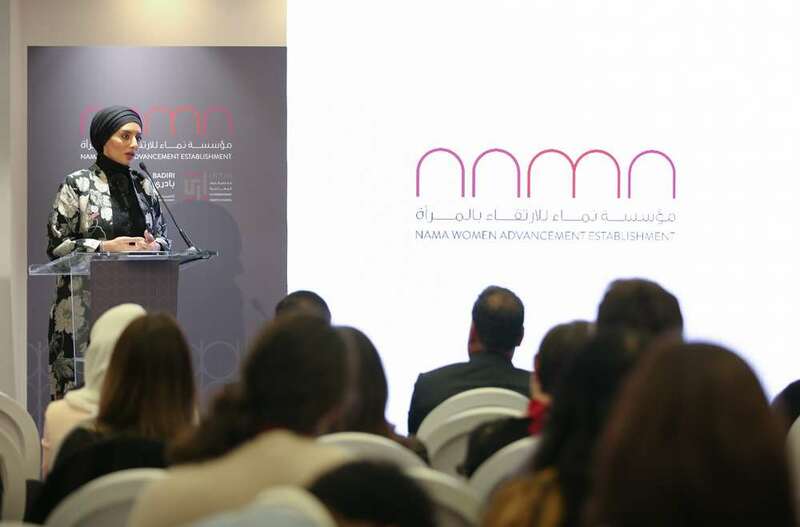 The Badiri Education and Development Academy, the learning and capacity-building arm of the NAMA Women Advancement Establishment (NAMA), launched the Badiri E-Academy, an e-learning platform whose resources can be accessed online – in Arabic and English for now- by anyone around the world. The online academy was launched in a private event at the Permanent Mission of the United Arab Emirates to the United Nations on the sidelines of NAMA’s participation at the 73rd United Nations General Assembly (UNGA) in New York, following the directives of Her Highness Sheikha Jawaher bint Mohammed Al Qasimi, wife of His Highness the Ruler of Sharjah, and Chairperson of NAMA. The move reinforces the United Arab Emirates’ dedication to supporting women and developing practical solutions to overcome the obstacles that hinder their access to knowledge and quality learning. In collaboration with its Technical Partner, Brazil-based company FazINOVA, Badiri E-Academy is built on the Massive Online Open Courses (MOOCs) model and offers free access to quality content, including professional courses and educational resources, through its website and mobile application. The content is contributed by international educational and training entities, and individuals worldwide, to meet the needs of women and men, university students, aspiring and established entrepreneurs, working professionals, job seekers, and all who seek to develop their professional and life skills. NAMA called on all individuals from around the world to register in the programmes and training courses available on the E-Academy’s website: www.badiriacademy.org, and download its mobile application. NAMA pointed out that the programmes have been selected to respond to the needs of women in the learning and professional development process. In line with NAMA’s firm belief that all people have the right to access sources of knowledge, the E-Academy is open to men and women from all over the world. In its initial phase, the E-Academy will offer professional training courses in Business, Entrepreneurship, Culture, Theories, and Science in Arabic and English. This list will gradually expand to include additional courses and languages.The E-Academy has called on all universities, educational and vocational institutions, and subject matter experts to offer their content to this free learning platform. Business 101, presented by Heather Pressler, Managing Director & Co-founder of Capital Practice Consulting. Heather is specialized in training entrepreneurs on how to create website contentand improve search engines. The Human Project, presented by Awecademy which was founded by Raya Bidshahri. The Mindset of Silicon Valley, presented by Bel Pesce, creator of FazINOVA, a digital learning platform. MentorMe! Overview of the US College Application, presented by Georgia Gabriela, that provides information on admissions procedures at American universities. Design your Dream Job, presented by entrepreneur Elatia Abate. The program offers ways to plan ideal job position that is available in the market before searching for them. Four Million Threads, a documentary by Jackie Baskin, Producer at Third Watch Media and CNN. The Badiri E-Academy is being launched with the “#IWishILearned” campaign, created to emphasise the importance of life-long learning, and highlight the skills or knowledge that if made available can help people advance in their personal and professional lives. People are encouraged to share their videos of what they wish they learned on social media using the #IWishILearned hashtag. “This furthers our efforts to help men and women who encounter difficulties in gaining access to quality sources of knowledge and training, which are the building blocks of personal and professional development,” Bin Karam noted.